Two brand icons have died within five months of each other. Steve Jobs, Apple co-founder, died on October 5, 2011. Joe Paterno, the iconic head football coach of Penn State University, died on January 22, 2012. Few individuals have been as closely linked to their brands as these two men. Jobs wasn’t an engineer, a coder, or a true marketer. His genius was leading the Apple team to create products that were different, important and indispensable. Think Different® indeed. The world mourned his death but celebrated his legacy. He changed the way people live. Apple broke traditional marketing rules. It introduced products that the marketplace didn’t realize it needed — until the marketplace tried them and couldn’t live without them. Apple refined those products and reintroduced new, improved, better, cooler, more coveted iterations at breakneck speed. 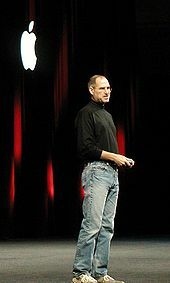 Steve Jobs is gone, but his Apple brand continued to be just as new, improved, better, cooler and more coveted as ever. His legacy is about his brand accomplishments, and what more he might have accomplished had he lived longer. Joe Paterno defined Penn State University. He was the head coach there for more than four decades. He won more games than any other Division One coach in history. He was the benchmark for collegiate sports integrity. 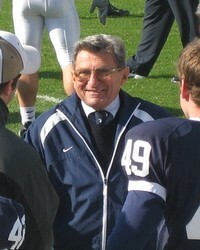 His teams not only won on the field, but Paterno’s program consistently achieved the highest graduation rate of varsity football athletes of any major college program. He put fans in the seats. The success of his Nittany Lions helped build one of the largest football stadiums in the nation. The pride generated by his football team and its hardworking coach helped create the largest active alumni association in the country. He was as quiet and unassuming as the plain uniforms his teams wore. Yet he was just as strong and recognizable as those no-nonsense uniforms. The University library — not the football stadium — was named after him. “We Are Penn State” has become the unofficial motto of the Pennsylvania State University. But Joe Paterno…He Was Penn State. We all know the circumstances around his firing. The alleged child molestation charges leveled against a former Penn State assistant coach are horrific. Paterno claimed that he informed the university police and the administrative chain-of-command within 24-hours of learning of an alleged locker room incident. Then he went back to work. It appears that there was an internal, administrative cover-up of the alleged molestations. Once that cover-up finally imploded, an insular, stunned Board reacted. They tried to disinfect the stench by firing the president, other administrators, and head coach Joe Paterno. Paterno died within three-months of being fired. The official cause of death appears to have been an aggressive lung cancer. Probably. But a broken heart could also have been a contributing factor. I’m not going to second-guess what Joe Paterno should have done. I don’t think anyone should. We should celebrate what he accomplished, and how he accomplished it. At 85 years of age he gave it his all. Apple will survive. So will Penn State. “Think Different®” will rule at Apple. “We Are Penn State” will reverberate again this fall in Happy Valley. Two brand icons are gone. The positive aspects of their individual legacies, their entire body of work, will continue to influence the brands they once led. I hope that history treats them and their brands well.